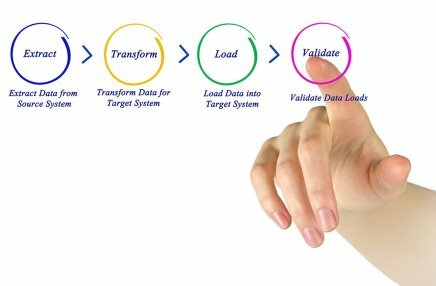 Our ETL testing process combines knowledge and experience to extract and transform data and put fears of loss of data, invalid data or overshooting time frame to rest. getSmartcoders has over 10 years of experience in delivering quality ETL testing solutions to its clients the world over. Over the years we have developed and fine-tuned a robust process to systematically manage data bases and create quality and rich information that can be leveraged to explore new opportunities for the organization. ETL Testing, aka Extract, Transform and Load, has gained a lot of traction in the last few years among organizations that are continually looking to migrate, monitor and consolidate their data warehouses. To ensure correct integration of these systems, it is important that the data be tested and mapped systematically to prevent errors and inconsistencies. Many companies that want to implement business intelligence systems are often exposed to the risk of hurrying their data warehouse into service without being properly tested by an experienced ETL testing company. This is where GetSmartCoders come into play. The biggest risk in outsourcing ETL testing process lies in performing testing inaccurately that can lead to incorrect mapping of the source data, causing substantial loss in data warehousing. However, with GetSmartCoders, our clients can rest assured as we have years of experience in providing ETL testing service. We use the most sophisticated ETL automation testing procedures that simplifies the validation of your company’s data, with added benefits of scalability and adaptability to your testing method. We use ETL Testing tools based approach towards database testing. We also eliminate data inaccuracies from the production environment by automating test planning and perform text execution at every phase of ETL testing process. In order to stay compliant with changing technological environments, data warehouses need to be upgraded. In this situation, we offer a fully automated testing process for application upgrade that tests extracted old data’s compatibility with the new warehouse. This allows us to save a lot of time in development and scripting. Once the data has been accurately validated after validation testing, we ensure that all the data has been correctly loaded into the warehouse. To double check, we perform count testing and spot checks between arbitrary actual and specific data regularly. We remove inaccuracies of metadata by performing metadata testing procedures that involves indexing checks, data length checks, and validation of data type. These tests are fully automated and can save you plenty of time. This is a highly complicated task that can lead to wastage of time and resources. Therefore, to prevent that from happening, we use front-end reports to verify all the elements of GUI and ensure completeness. For the company to have full faith in generated data, they need to perform comprehensive data quality tests that include both reference and syntax testing. We provide data quality testing services that can prevent bugs and errors caused due to poor quality data. We can help gauge the quality of data generated. We use the most sophisticated ETL testing tools to perform reference tests. These automated tests help in validating data generated with regards to data model. At the same time, our syntax tests are geared towards reporting asymmetrical data that may occur due to inaccurate characters, case usage, character pattern and invalid characters, to name a few. This type of testing is highly complex because of extensive manual work. For every single-source SQL query written, it has to be compared manually with the target output. Many such SQL queries are written to validate changes. With GetSmartCoders, we do all the hard work at the backend so that you can save time and costs in the ETL testing process. This form of ETL testing approach performs testing on data that is to be transferred to data warehouse and other such production systems. Our experts at GetSmartCoders ensure that the data is moved and mapped correctly. We do this by evaluating even the slightest change, allowing you to make the best decisions for your business. Our ETL automation testing approach ensures that your business is never compromised due to inaccurate data. Our incremental testing procedure eliminates all challenges associated with large amounts of data. We perform thorough testing of the old data, checking its integrity and compatibility with new data. As a result, we also simultaneously check all the updates and inserts that are fed during automated ETL testing. Through our ETL automation testing, we help you in quick validation of the transferred data to ensure that the new one is exactly same as the old one. If not, we also conduct spot checks to mitigate discrepancy in the current process, and prevent its recurrence in the future. This is the first step in ETL testing the primary task involves identifying data sources, implementing the data profile, and define data quality criteria. After understanding the testing requirement, we analyse and validate it from a technology perspective. 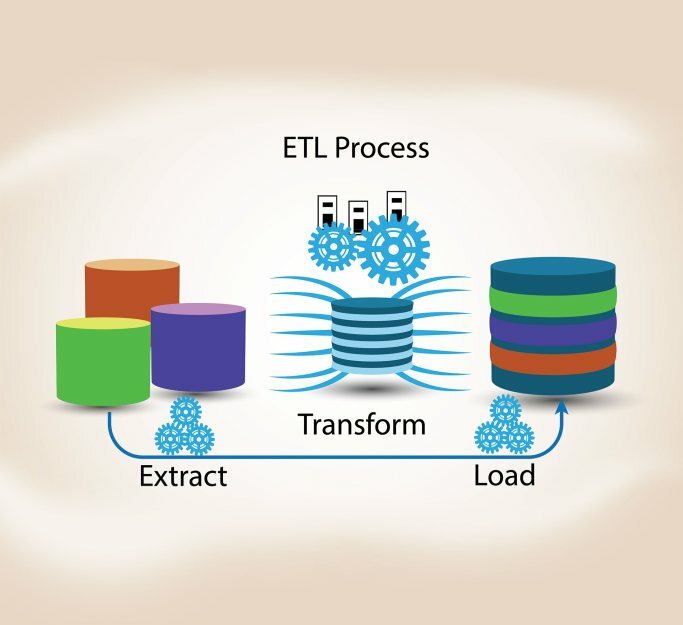 In this stage of ETL testing, we apply the business transformation logic and sort the data for further testing, such as indexing and data partition. fter completion of the ETL process, our experts will drill down and drill through to offer comprehensive report to the client. Our senior ETL testers have more than 10 years of experience in ETL testing. Besides great manual testing skills, all of them have excellent knowledge in PL/SQL and ETL / Data warehousing. Their wide experience arms them with an insight-based understanding of the ETL process which has helped us complete processes precisely within the required time framework. Looking for a reliable offshore ETL testing services company? Outsource ETL testing services to getSmartcoders to begin the discovery process.